My friends Steve and Amanda are fantastic “wonder-spotters” … and this particular wonder is just beyond the beyond. I love it! The contents of the one-time Elvis Is Alive Museum, formerly housed in this building, were sold and shipped to Hattiesburg, Mississippi in 2008 (where they remain in storage). The building is now a mission center, food bank, and home of Mighty Stream Radio (which streams religious and political material via the Internet). 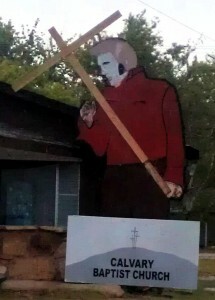 Off Highway 70 in Wright City, you’ll find Calvary Baptist Church and a giant Elvis holding a cross. 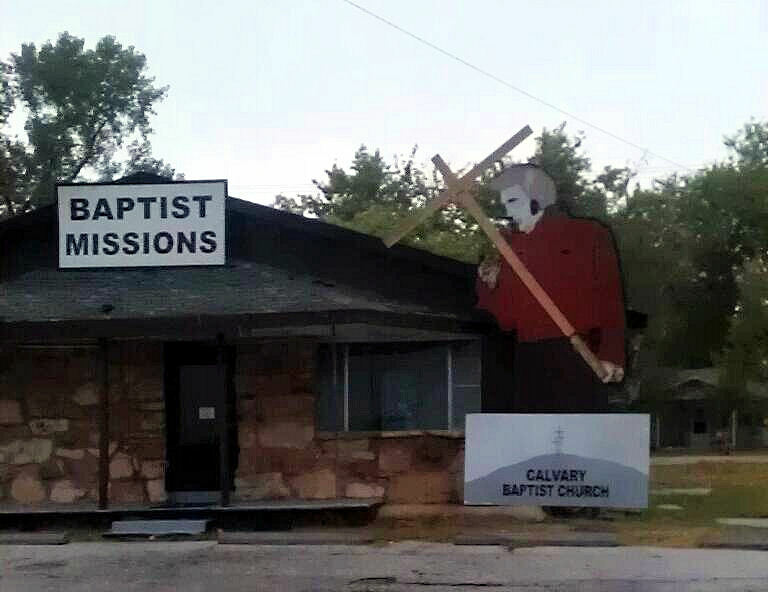 I always wondered the story behind this every time I made the drive to my Grandma’s house and passed the church. The church used to be the Elvis is Alive Museum and it was run by Baptist minister, Bill Beeny. Bill is unique in that he’s probably the only minister who has actually worked to prove that Elvis is still alive and even wrote a book concerning DNA proof; although that’s not to say he doesn’t have many other eccentricities. In 2005, Bill gained national attention when he closed the museum and sold all its contents on eBay and turned the museum into what stands today, the Baptist Missions food bank and mission center. 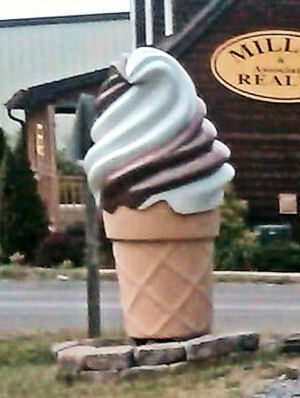 It’s unclear if the giant Elvis outside the church is a last, unsold, remnant of the old Elvis is Alive Museum or if it was built and erected for the purpose of the church. But, either way, this Baptist pastor is one giant Elvis fan!